Note that space is limited! Click here to register in advance. Admission is free for paid HAAM members. Non-members $5 at the door. 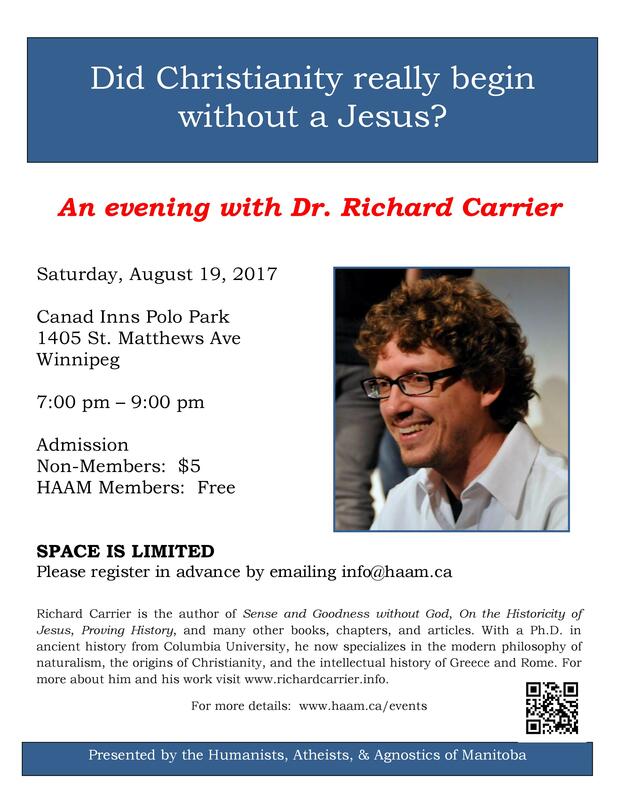 Author and historian Richard Carrier will be touring Canada this summer, and HAAM is very excited to be hosting this evening with him in August. If you’ve heard or read any of his work before, you know that Richard is not convinced that there ever was an actual historical person named Jesus. He’s also not alone in his doubts, as demonstrated by this billboard. The whole of Christianity could be based on nothing more than myth! Don’t miss this opportunity to hear him explain that position and ask questions about it! Richard has a Ph.D. in the history of philosophy from Columbia University, and is a published philosopher and historian, specializing in contemporary philosophy of naturalism, and in Greco-Roman philosophy, science, and religion, and the origins of Christianity. 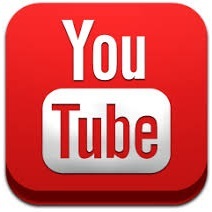 He blogs regularly, lectures for community groups worldwide, and teaches courses online. He is the author of many books including Sense and Goodness without God, On the Historicity of Jesus, Why I Am Not a Christian, Not the Impossible Faith, and Proving History, as well as chapters in several anthologies and articles in academic journals. For more about Dr. Carrier and his work see www.richardcarrier.info.